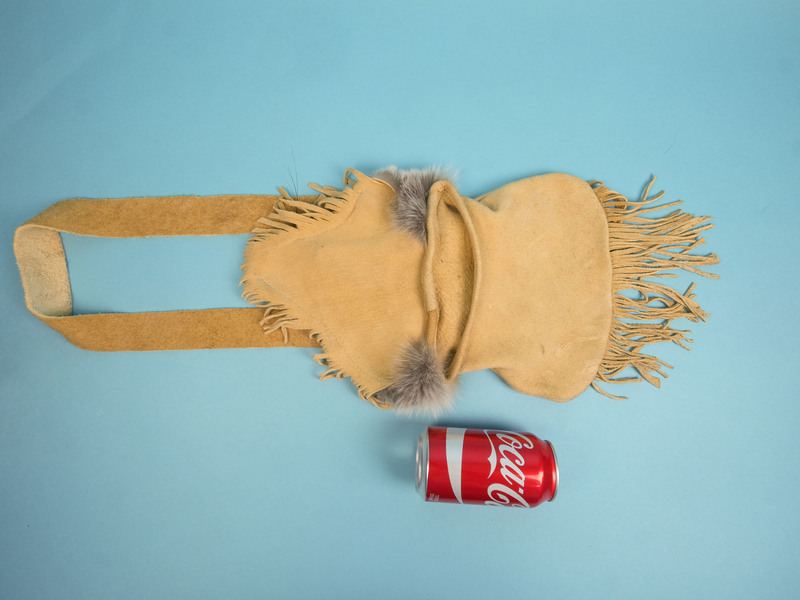 See the Red Fox Bag with Fringe and a size comparison with a soda can. The Red Fox Face Bag is a 6" by 6" (15 cm x 15 cm) deerskin leather bag with a real red fox face flap and a braided 36" (91 cm) shoulder strap. 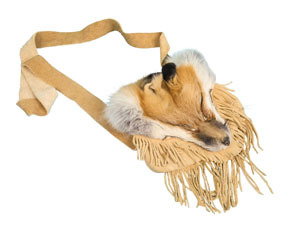 We also have other red fox bags that will be available for sale as gallery items. Each one is unique. Genus and species red fox: Vulpes vulpes. Wild. Genus and species for white tail deer: Odocoileus virginianus. Wild. 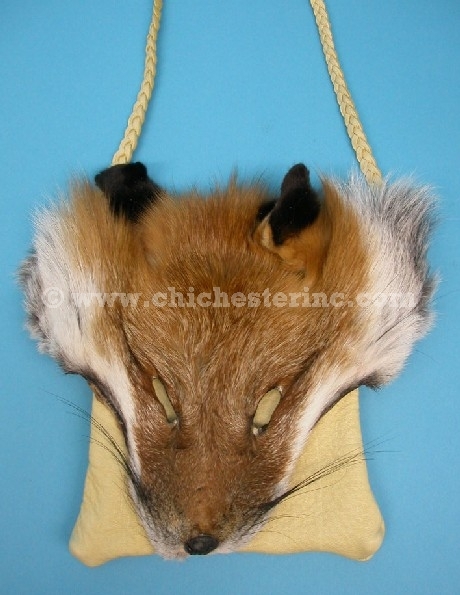 For Fox Faces, click HERE. For more Fur Bags, click HERE.